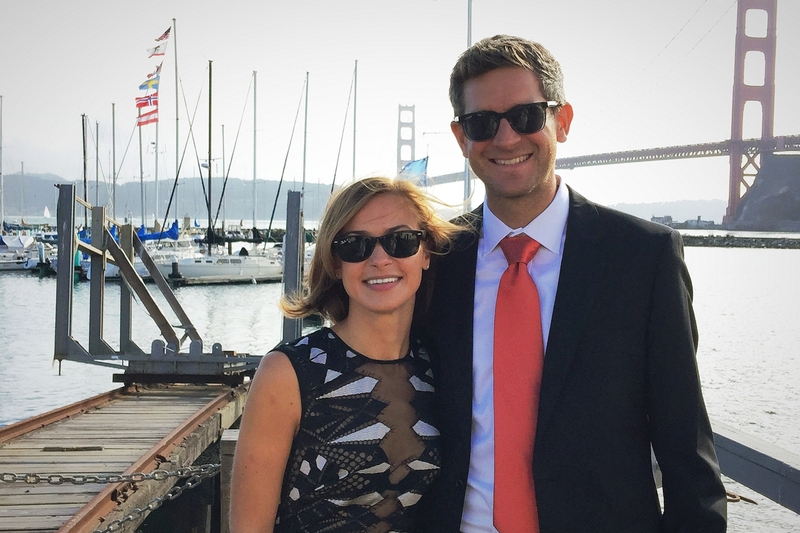 We’re a San Francisco couple in our 30s, sailing south aboard our Outbound 46 Pineapple. In 2017, we quit our jobs, gave up our apartment, sold our stuff, sailed out the Golden Gate, turned left, and began cruising the Pacific coast from California toward Panama. We don’t know quite where we’re going or when we’ll be back… but we know it’ll be an amazing adventure. We’re Wisconsin natives. Michelle is from Milwaukee, and John grew up sailing in a town called Green Lake. The University of Wisconsin brought us together—actually, it was the Badger Herald newspaper, where we both worked and met in 2003. 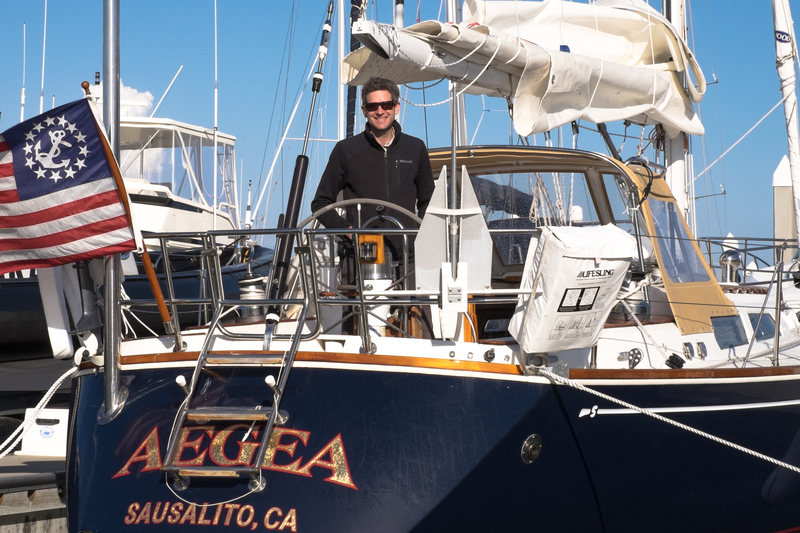 In 2008, John’s friend (his partner in the Catalina 30) gave us a copy of Seasoned by Salt. It was the first cruising book we read, and we were captivated. We didn’t know it was possible to live aboard a sailboat and cruise full time. The hook was set. Why did cruising appeal to us? It’s hard to say. We grew up in fairly normal Midwestern circumstances, with no particular thirst for adventure. Maybe it was just that: the exhilaration of thinking that a “normal” couple could do something so extraordinary. We got married in 2009 on Mackinac Island, and Michelle suggested a sailing honeymoon in the British Virgin Islands. It was somewhere between Virgin Gorda and Jost Van Dyke, on a long downwind sail past Tortola, that we had our first serious conversation about cruising. We were enchanted by umbrella drinks, snorkeling, and sunshine, of course. But more than that, we were drawn to the intimacy and simplicity of living aboard and traveling oh-so-slowly. During those four years, we also talked a lot about going cruising. Meanwhile, we worked hard and saved our money. While our friends were buying houses, we stayed in our 800-square-foot apartment. We stuck with one car, a used Volvo. We put aside half of our income most months—earmarked for a “someday maybe” plan that was becoming more real month by month. With a heavy heart, we decided that Aegea was not the right boat for full-time cruising. But we didn’t feel sad for long—in May 2016, after a six-month search, we decided to buy a brand new Outbound 46! This blog will chronicle the process of outfitting, living aboard, and sailing our new boat Pineapple. We hope to entertain! Oh, did we mention the cats?! They’d be pissed if they knew we waited until the end of this post to introduce them. 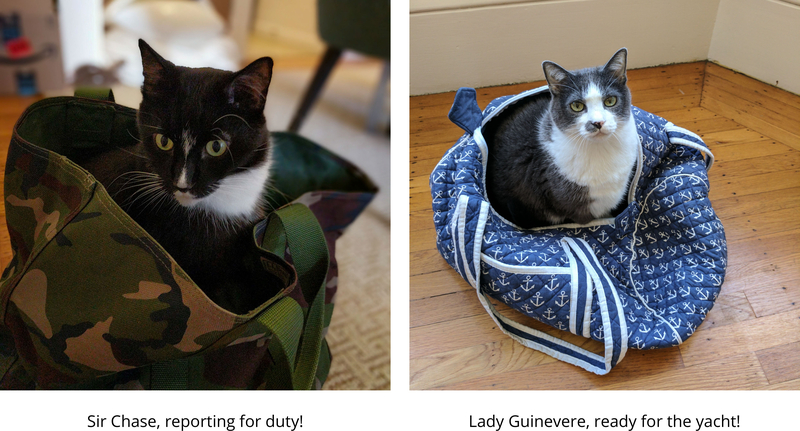 We have two cats: Chase and Guinevere. And yes, they are coming with us, but those bird-brains don’t know it yet… suckers! Thanks for reading! Please reach out with questions, we’d love to hear from you!